The Twins', Max Kepler, dives safely back to first as Orioles’, Chris Davis, awaits the throw during a baseball game on Sunday in Minneapolis. The Twins won 10-1. 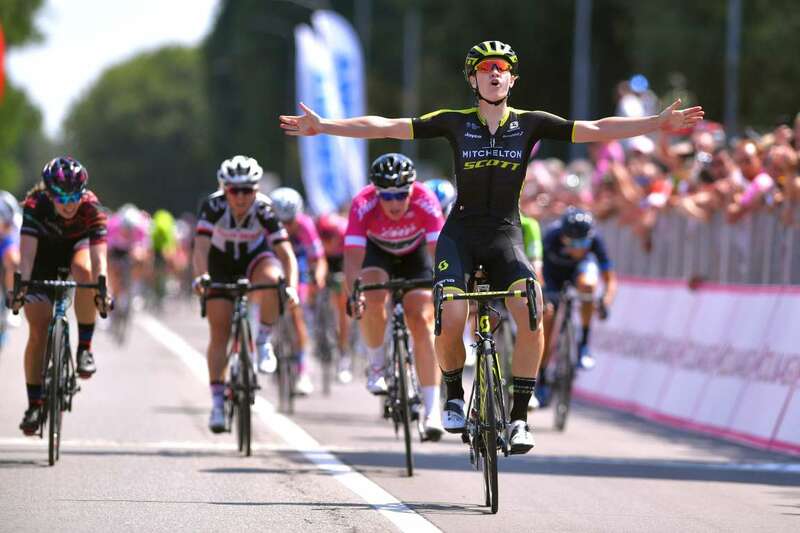 Kirsten Wild of The Netherlands and Team Wiggle High5 Points Jersey, celebrates after winning Giro Rosa sprint during the 29th Tour of Italy, a 132-km stage from Corbetta to Corbetta, on Sunday in Corbetta, Italy. 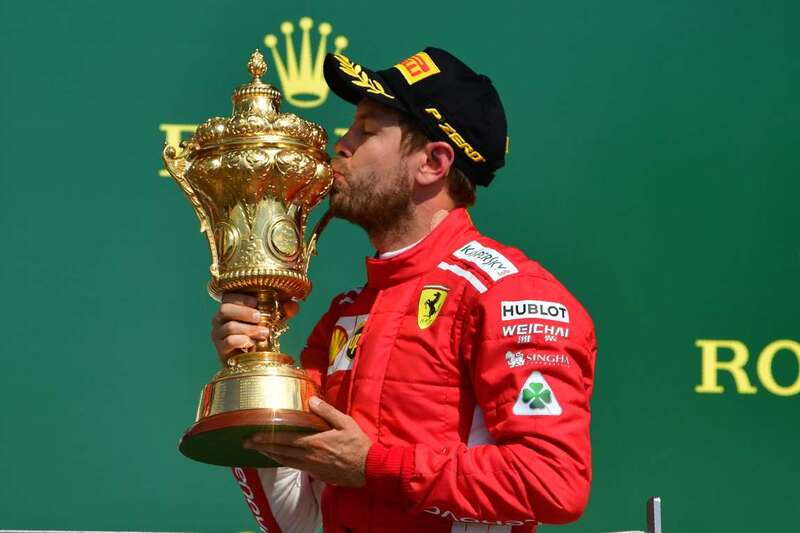 Ferrari's German driver, Sebastian Vettel, kisses his winner's trophy on the podium after the British Formula One Grand Prix, on Sunday in Silverstone, England. 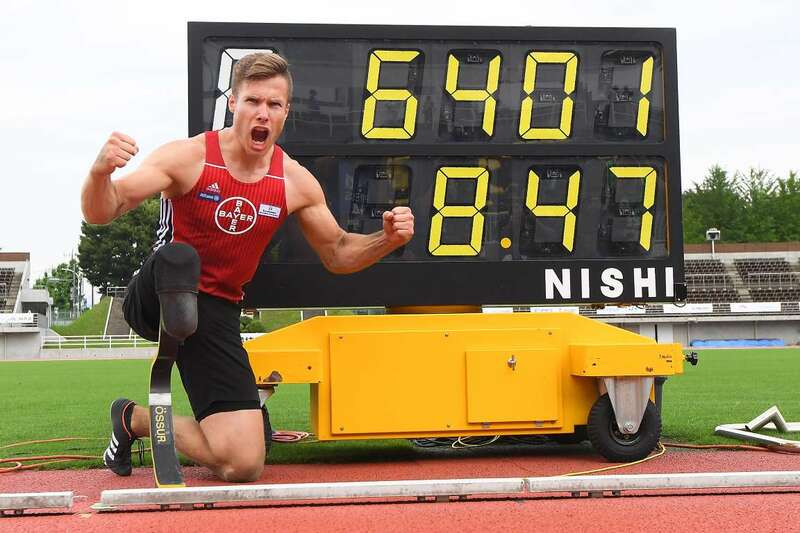 Markus Rehm of Germany, poses for photographs with the display showing the new world record of 8m 47cm, in the Long Jump Japan Para Championships, on Sunday in Maebashi, Gunma, Japan. Australia's Luke Durbridge is helped by a medic after falling in the last kilometers during Tour de France cycling race between Mouilleron-Saint-Germain and La Roche-sur-Yon, on Sunday in France. 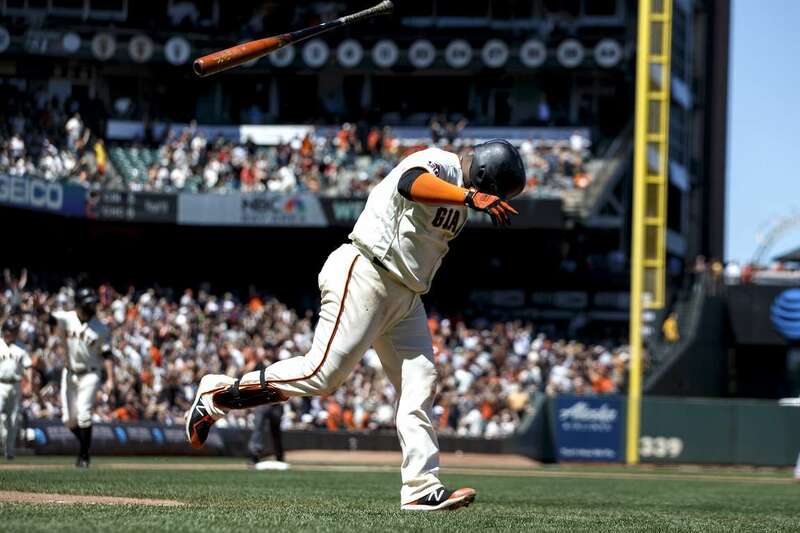 Pablo Sandoval of the Giants, flips his bat after hitting a three-run homer against the Cardinals on Sunday in San Francisco, Calif. The Giants won 13-8. Rafael Nadal is seen during practice, ahead of Wimbledon Championships on Sunday in London, UK. 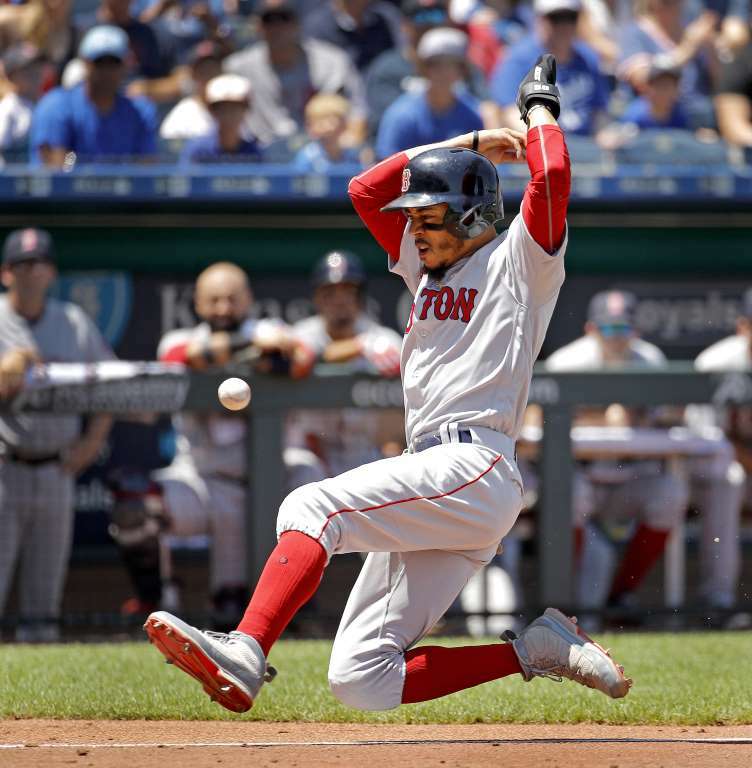 The Red Sox's, Mookie Betts, slides home to score on a sacrifice fly by Steve Pearce, during the game against the Royals on Sunday in Kansas City, Mo. The Red Sox won 7-4. The final slide The Red Sox's, Mookie Betts, slides home to score on a sacrifice fly by Steve Pearce, during the game against the Royals on Sunday in Kansas City, Mo. The Red Sox won 7-4. 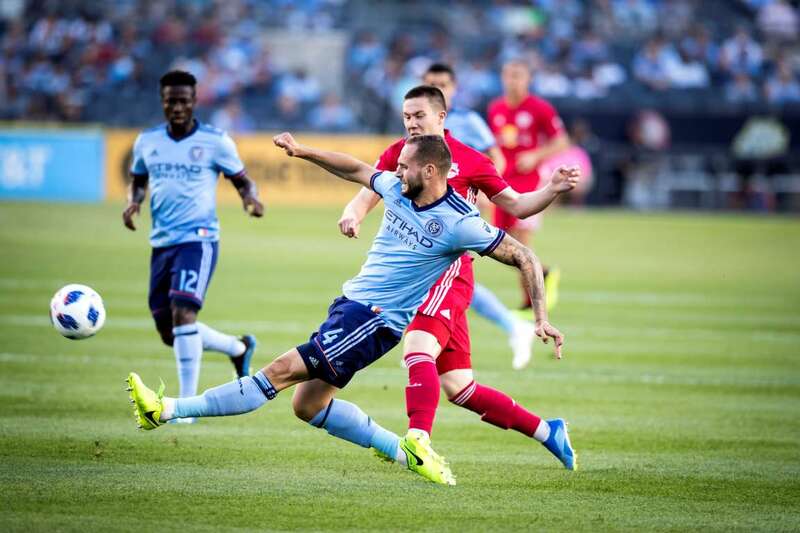 Maxime Chanot (4) of the New York City FC clears the ball from Alex Muyl of the New York Red Bulls during the match on Sunday in New York. NYC FC won 1-0. 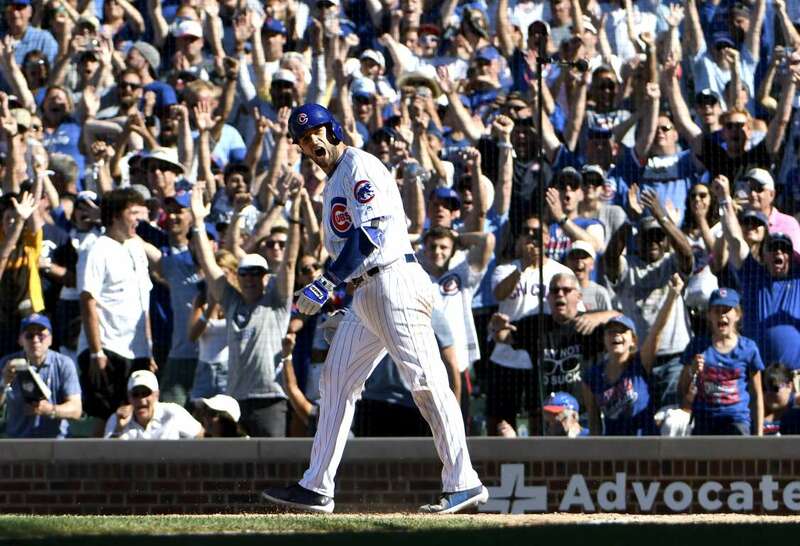 David Bote of the Cubs, celebrates his game-winning walk in the tenth inning against the Reds on Sunday in Chicago, IL. The Cubs won 6-5. 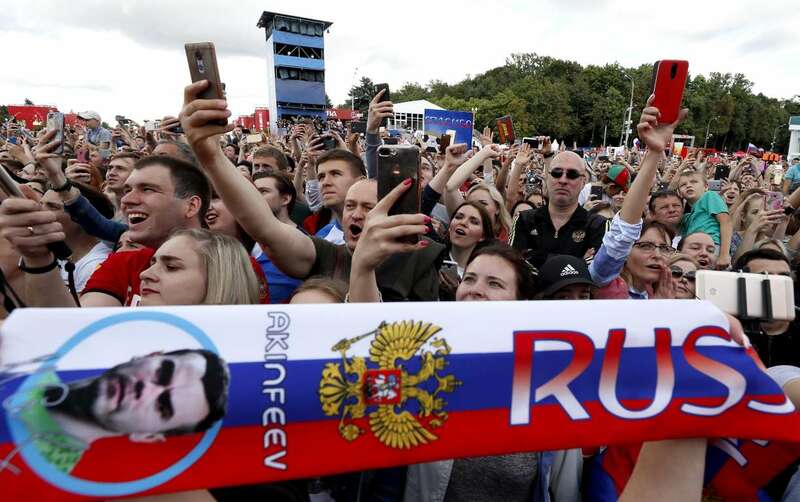 Fans gather during a meeting with Russia's national soccer team at the FIFA Fan Fest, on Sunday in Moscow, Russia. Players of the Belgian men's national soccer team during a training session on Sunday in Moscow, Russia, ahead of the upcoming World Cup Semifinal match against France. 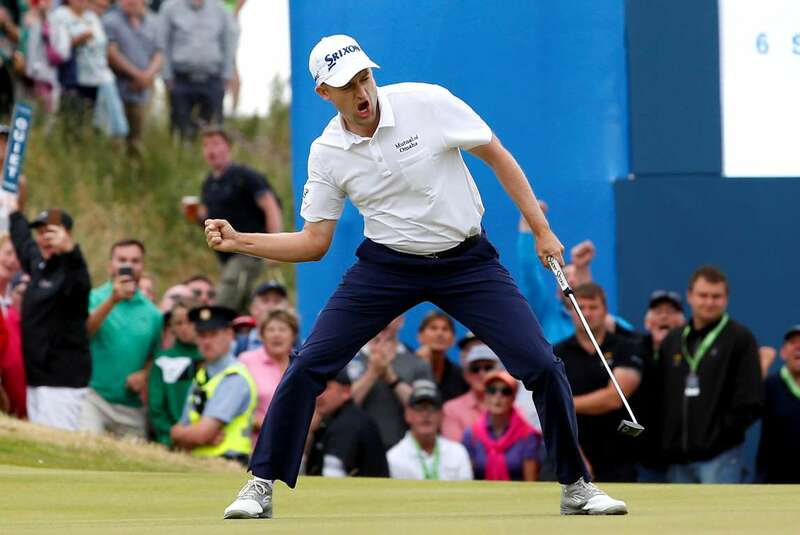 Scotland's Russell Knox celebrates after winning the Irish Open on Sunday in Ballyliffin, Ireland. 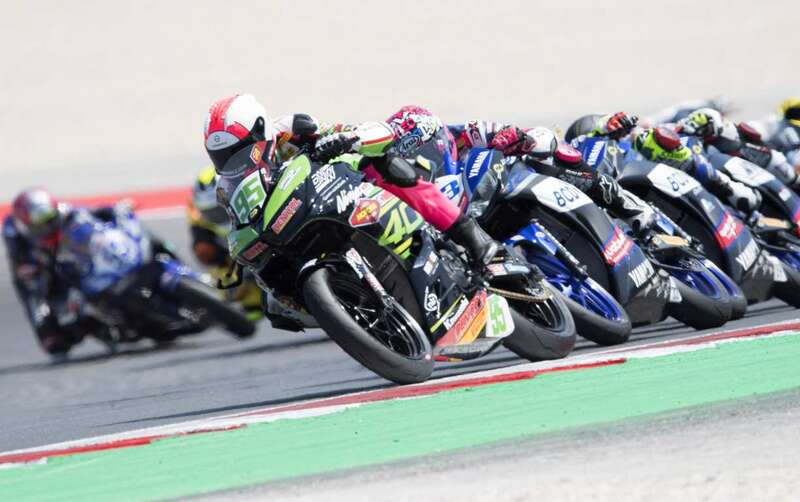 Scott Deroue of Netherlands and Motorport Kawasaki leads the field during the Supersport 300 race on Sunday in Misano Adriatico, Italy. 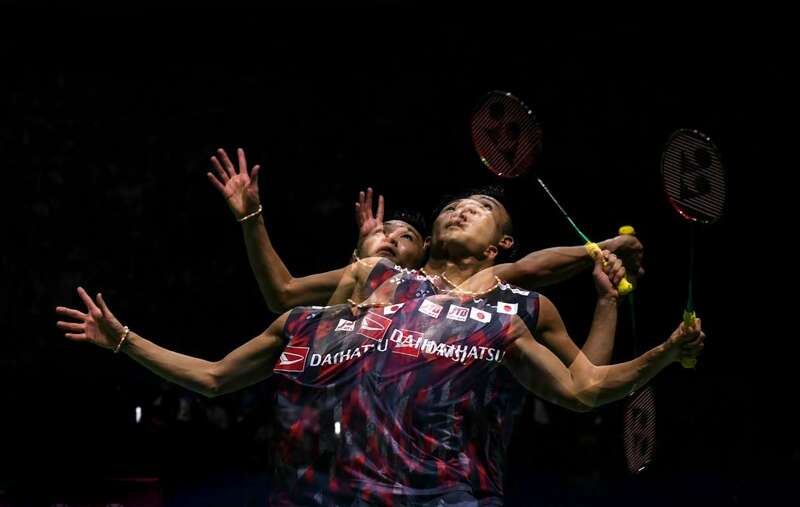 Kento Momota of Japan competes against Viktor Axelsen of Denmark during the Men's Singles Final match of the Blibli Indonesia Open on Sunday in Jakarta. Momota won 21-14, 21-9. 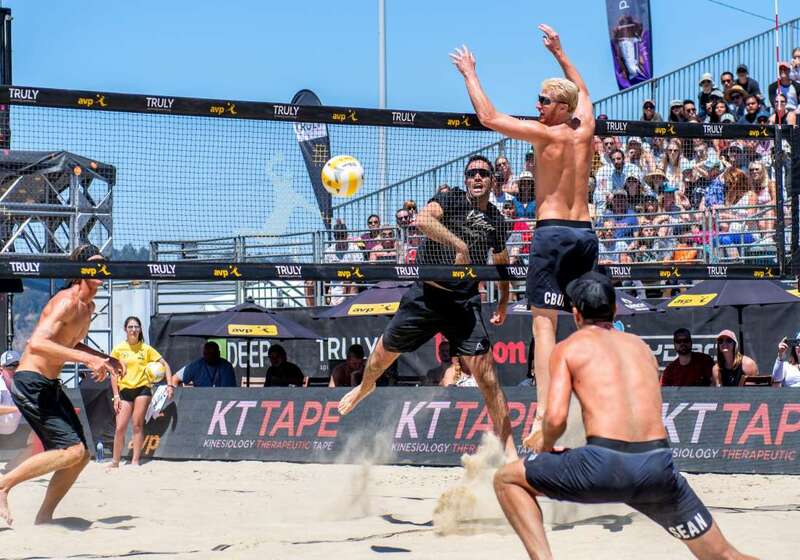 Roberto Rodriguez sends a shot in the final match of the AVP Pro Beach Volleyball Tour on Sunday in San Francisco. 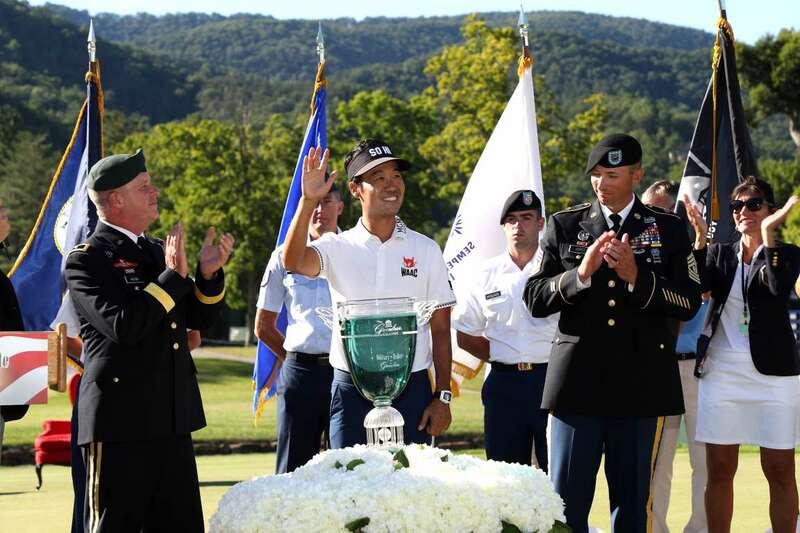 Kevin Na waves at the trophy ceremony after the final round of A Military Tribute At The Greenbrier on Sunday in White Sulphur Springs, West Virginia. 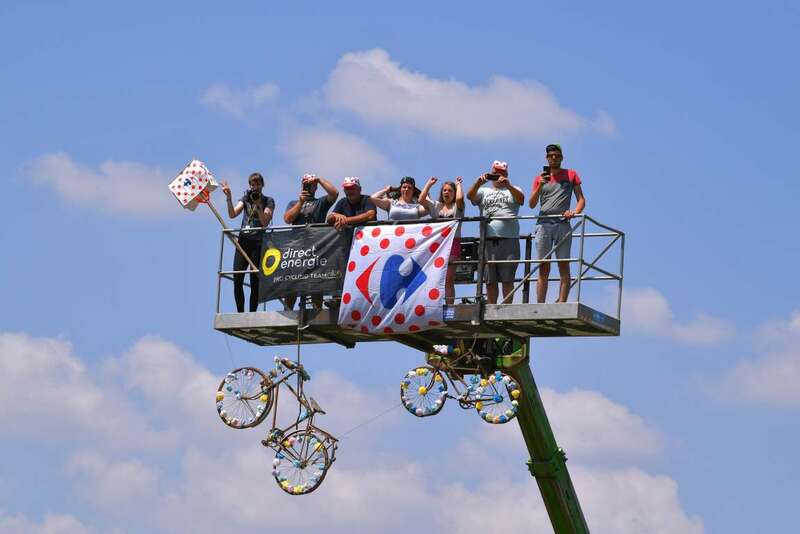 Fans watch cyclists ride past during the 105th Tour de France race from Mouilleron-Saint-Germain to a Roche-sur-Yon, on Sunday in La Roche-sur-Yon, France. 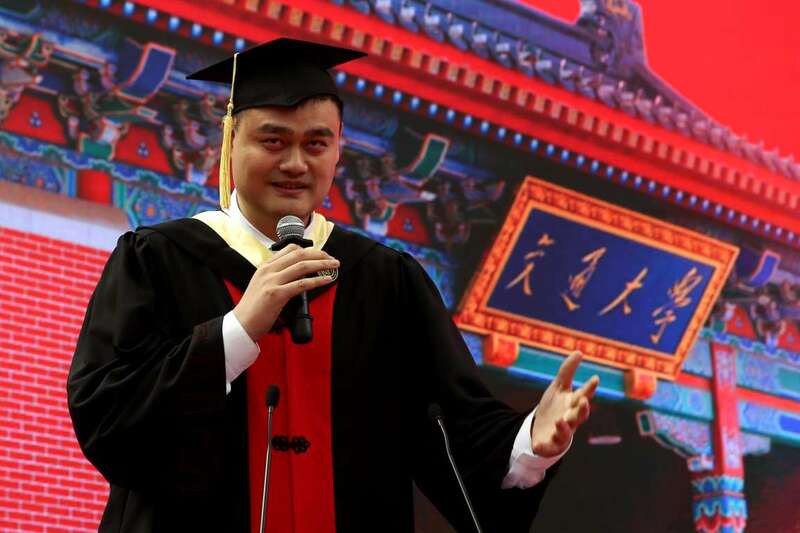 Former NBA player Yao Ming attends the undergraduate graduation ceremony of Shanghai Jiao Tong University on Sunday in China.